Welcome to this meticulous highly upgraded home!! 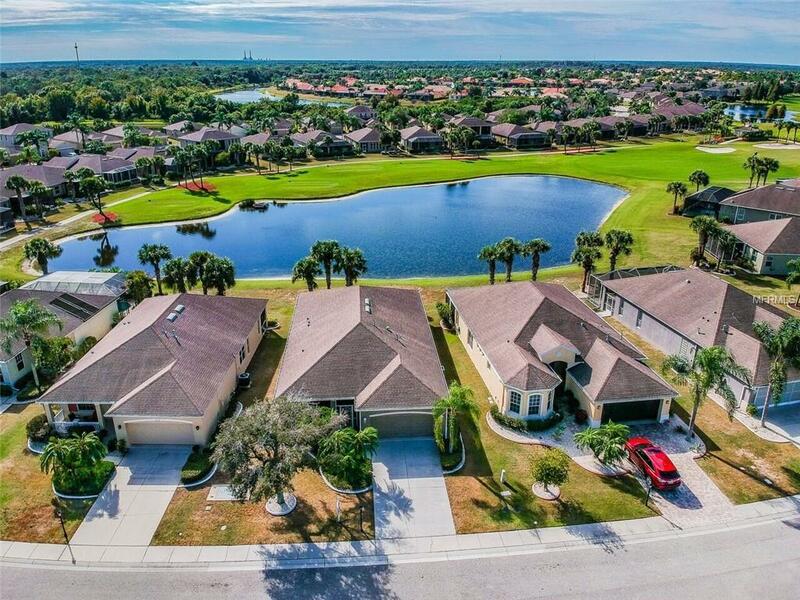 Located on a LARGE POND in the fabulous Renaissance 55+ community. This model was expanded to add 2 1/2 ft to the lanai & great room & 5 ft to the master bedroom & is FAR roomier than other similar homes in the neighborhood. BRAND NEW Quality GE Stainless Kitchen Appliances, refrigerator, range & microwave going in Feb 19th! The screened front entry is perfect for enjoying outdoor living comfortably. Beautiful hardwood flooring in the great room, foyer & 2 bedrooms. 3rd bedroom is tile flooring & used as an office. The lanai is screened & has windows that are totally removable so you can enjoy the beautiful view of the pond. Move in ready!! Live actively & do it in style! Renaissance section of Sun City Center (SCC) that includes the Renaissance Club link Clubhouse with all its great amenities, formal & casual dining, spa, golf pro shop, 24/7 Fitness Center, pool, indoor walking track. It just doesn't get any better than this! Plenty of golfing opportunity in SCC if you play golf. Even if you don't play golf, golf carts are allowed on many streets & are the first or second mode of transportation for many residents. SSC Florida is rated as one of the top retirement communities in America. In addition, SSC Community Association Office many social activities, over 200 social, hobby clubs, indoor & outdoor pools, shuffleboard & tennis courts. Enclosed FL is 286 sq ft & included in heated A/C sq ft. Hurry, this home won't last long! Additional Lease Restrictions Proof Of Age 55+. Pet Restrictions Must Be On Leash At All Times When Outdoors.